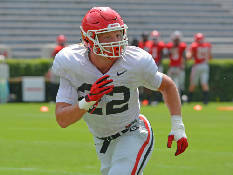 Midway through his career as a Georgia inside linebacker, Nate McBride might be lacking in statistics but not in memories. 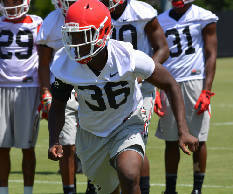 Georgia held its first scrimmage this spring and got a closer look at one of its early enrollees. 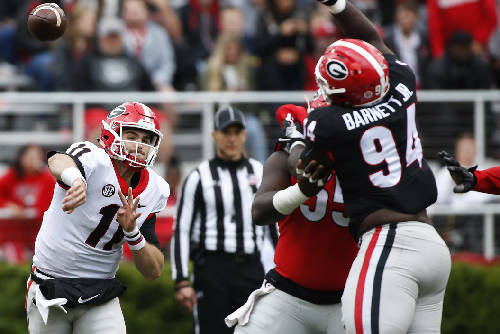 It's the second go-around for Stetson Bennett IV as a Georgia quarterback, and this time he's on scholarship. 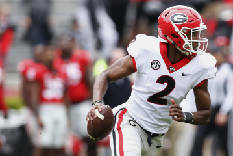 Georgia freshman cornerback Tyrique Stevenson, one of 14 early enrollees for the Bulldogs, was arrested early Sunday morning. 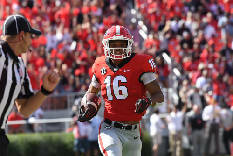 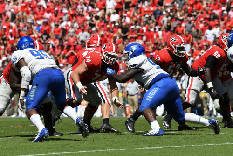 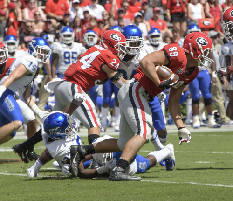 Charlie Woerner doesn't need reminding about Georgia's new predicament at tight end. 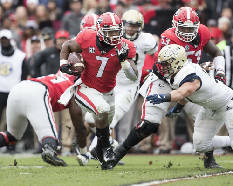 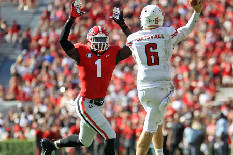 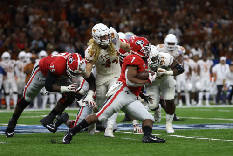 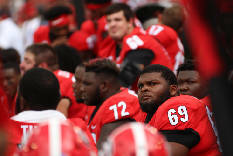 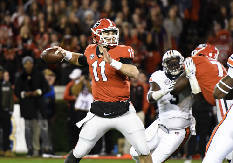 The Georgia Bulldogs are coming off two memorable football seasons. 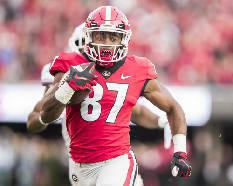 Georgia's recent football success against the Florida Gators in Jacksonville during late October extended into early March this year. 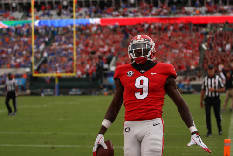 Georgia reserve defensive back Latavious Brini was arrested this past week in Athens on a misdemeanor charge of simple battery.